Welcome to Atrium, where you’ll find the style, comfort and amenities you’re looking for! 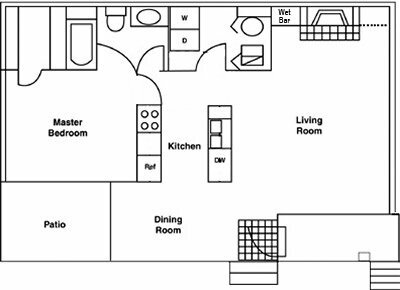 You’ll love our bright, spacious one and two bedroom floor plans, with features such as fireplaces, Palladian windows, vaulted ceilings and built-in bookshelves. You’ll enjoy playing tennis or working out in our fitness center, then relaxing in the sauna, followed by a dip in the sparkling pool. Shopping and dining is close at hand, with Northgate Mall and North Point Commons nearby. You’ll have easy access to downtown Durham, North Carolina and Research Triangle Park via I-85 and US 70, and Duke University, NCCU and Durham Regional Hospital are just minutes away. Come home to luxury for less in North Durham! 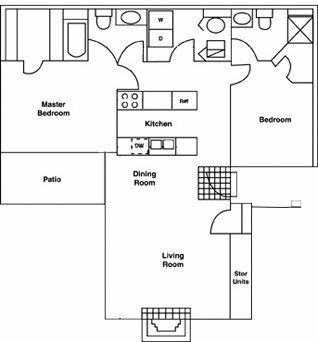 Atrium is located and 2.97 miles from Duke University. The property has a Walkscore of 43, so you will probably be driving or taking public transportation most of the time. The property has a Transitscore of 29, so there are a few public transportation options nearby. Atrium has many shops nearby. Coffee shops in the area include Mad Hatter Bakeshop & Cafe, Starbucks, Beyu Caffe. There are a number of markets in the area include Costco, Whole Foods Market, Walmart Supercenter.